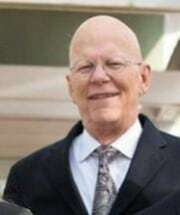 William J. Sheppard, a board certified criminal trial lawyer, has established a reputation as a preeminent criminal defense, civil rights and appellate attorney during his nearly 50 years practicing law by committing both himself and his practice to his clients’ cases. Both icon and iconoclast, Mr. Sheppard is known for representing the famous, the infamous, and the unknown alike. Throughout his career, he has fought at every level of the judicial system for individuals’ protections against violations of their rights, whether by searches, internet or other electronic surveillance, restrictions on freedoms of speech and religion, or violations of the constitutional rights of the incarcerated and accused. He has litigated virtually every type of criminal case, from death penalty cases to complex white collar defense. Mr. Sheppard prepares meticulously for any task at hand. He understands that only the most extensive preparation will result in effective representation of his clients. In order to be thorough, Mr. Sheppard also makes sure that he knows and understands his clients, as well as the circumstances that have resulted in their need for legal representation. Whether a case must be fought in the courtroom or resolved through negotiation, Mr. Sheppard brings nothing short of the most thorough preparation, skill and diligence for the protection of his clients’ interests. After serving as a First Lieutenant in the United States Army in Korea, Mr. Sheppard graduated from the University of Florida College of Law, where he served as Executive Editor of the Florida Law Review. Mr. Sheppard began his legal career in the fields of real estate and banking, before founding his own firm, which he dedicated to the pursuit of criminal defense and civil rights advocacy. Mr. Sheppard has litigated Florida’s landmark statewide jail and prison conditions case on behalf of inmates in the county, municipal jails and state prisons in the State of Florida, producing substantial improvements to the provision of adequate care for those in custody. He has also established himself as a distinguished criminal defense lawyer, having litigated countless constitutional issues on behalf of his criminally accused clients. From issues relating to the Fourth Amendment to questions litigated under the Fourteenth Amendment, Mr. Sheppard’s knowledge of the law is encyclopedic. To witness Mr. Sheppard’s impact on the law, one needs to look no further than his nearly 400 published opinions. His pursuit of the vindication of his clients’ rights has resulted in his having argued before the United States Supreme Court on three different occasions, including in Doggett v. United States, 505 U.S. 647 (1992), which established that a delay between indictment and arrest can violate the constitutional right to a speedy trial. Because of such accomplishments, Mr. Sheppard has been recognized by his peers through such accolades as his long-standing AV Preeminent Martindale-Hubbell rating and his listing in Best Lawyers in America in the fields of appellate law, first amendment law, labor and employment law, non-white-collar criminal defense law, and white-collar criminal defense law, and through his listing in Florida Super Lawyers. Additionally, he was awarded the Lawyer of the Year in White-Collar Criminal Defense, Non-White Collar Criminal Defense and Employment Law in 2010, 2012, and 2014 respectively. Only a single lawyer in each practice area is honored as “Lawyer of the Year,” and it is the rare lawyer who has garnered these awards in three separate areas. Further, he is a Master of the Bench Emeritus in the Chester Bedell Inn of Court and a Fellow in the American College of Trial Lawyers. His accomplishments have been further recognized by his appointments to membership on the Florida Governor’s Advisory Committee on Corrections, the Middle District of Florida Civil Justice Reform Act Commission, and a term as chair for the Judicial Nominating Commission for the Fourth Judicial Circuit of Florida. Additionally, Mr. Sheppard has been recognized by his receipt of several awards including the Nelson Poynter Civil Liberties Award from the American Civil Liberties Union on two occasions. He has received the Florida Bar Foundation Medal of Honor, which is the highest honor bestowed upon a lawyer by the legal profession in Florida, the Tobias Simon Pro Bono Award, which is given annually by the Chief Justice of the Florida Supreme Court to the attorney in Florida who has given the most outstanding pro bono service, the Selig I. Goldin Memorial Award, which is presented annually by the Criminal Law Section of the Florida Bar for making significant contribution to the criminal justice system of the State of Florida, and the Steven M. Goldstein Criminal Justice Award, the highest honor awarded by the Florida Association of Criminal Defense Lawyers. Mr. Sheppard has also received the Distinguished Service award presented by the National Federation of the Blind, the Civil and Human Rights award from the International Association of Official Human Rights Agencies, the Mary L. Singleton Justice, Peace and Social Harmony Memorial Award, and the Florida Bar President’s Pro Bono Service Award. Recently, he was the recipient of the First Coast Coalition’s Humanitarian Award, which recognized Mr. Sheppard’s support and ingenuity to the civil rights involvement. In 2015, Mr. Sheppard received the Henry Lee Adams, Jr. Diversity Trailblazer Award presented by the Jacksonville Bar Association Diversity Committee. This award is given to those who show outstanding leadership for diversity and inclusion efforts. Mr. Sheppard is very proud to have received this award, named after one of his former law partners. Mr. Sheppard has litigated cases throughout the country and is admitted to the Florida Bar, U.S. District Courts for the Middle, Southern and Northern Districts of Florida, U.S. Supreme Court, U.S. Court of Appeals for the Fifth and Eleventh Circuits, U.S. Court of Appeals for the Fourth Circuit, U.S. Court of Appeals for the Seventh Circuit, U.S. Court of Appeals for the Federal Circuit, and U.S. Tax Court. He was recently featured prominently in the book Fifty Years of Justice: A History of the U.S. District Court for the Middle District of Florida by James M. Dunham, published on June 9, 2015 by the University Press of Florida.